The Cao Lanh Bridge and its inter-connecting roads, a joint funding partnership between the Vietnamese Government, the Australian Government and the Asian Development Bank (ADB), as part of the Central Mekong Delta Region Connectivity Project, officially opened to traffic today. 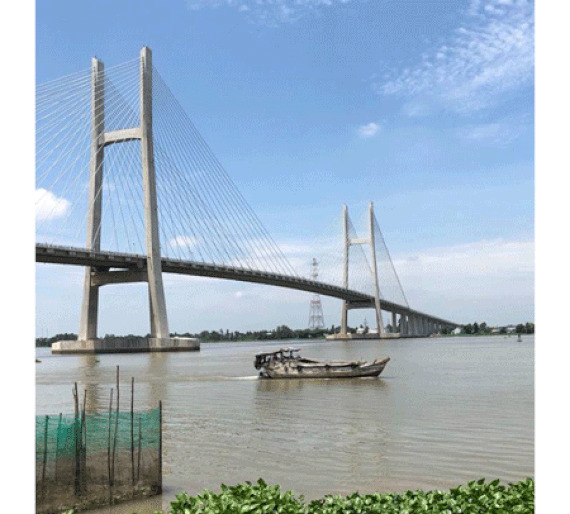 The bridge which construction started in October, 2013 in the Mekong delta province of Dong Thap spans 2.4km across the Tien River, with a further 25.1km of interconnecting roads. The project was managed by the Cuu Long Corporation for Investment Development and Project Management of Infrastruture (Cuu Long CIPM), with supervison and design contracted to CDM SMITH Inc. (U.S), WSP (Finland) and YOOSHIN Engineering Coperation (Korea). 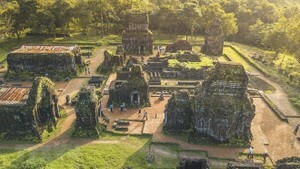 Total spending of the bridge and its patch connecting Cao Lanh bridge and Vam Cong bridge is VND7.5 trillion ($329,339,823) from the Australian government’s non-refundable aid, Asian Development Bank loans and Vietnam’s reciprocal capital. Deputy Prime Minister Trinh Dinh Dung, Australian Foreign Minister the Hon Julie Bishop MP, Minister for Transport Nguyen Van The, ADB Country Director Eric Sidgwick, Chairman of the Provincial People’s Committee of Dong Thap Nguyen Van Duong and senior officials from ministries and provinces attended the opening of the bridge. Deputy PM Trinh Dinh Dung thanked the Australian government’s financial support to build the bridge. This is the second bridge in the Mekong delta using the Australian government’s support after My Thuan Bridge. The inauguration of the bridge took place in the celebration of the 45th anniversary year of diplomatic relation between Australia and Vietnam. The bridge becomes a symbol of the two countries’ friendship.